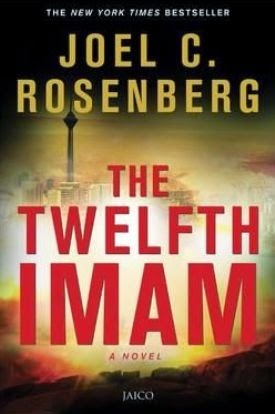 I picked up Joel Rosenberg’s The Twelfth Imam expecting a war thriller. Turned out to be more of religious fiction, not exactly my favorite genre. Don’t get me wrong, the book starts off well, has the crisp pace of a thriller and characters that suit the genre of thriller very well, but somewhere in the last parts of the book, the story gets lost and it just ends, abruptly. I think what lets down a thriller is when the thrill is overwhelmed by other factors that are better left subdued. Religion in a book is acceptable, but when it comes to an extent that almost feels like a sermon, then the book feels heavy and unreadable. It becomes almost comical given that the premise is a thriller. Not sure if I would recommend it to anyone. But I guess it’ll be of interest to those who like religious fiction. Crisp pace of thriller, characters that suit the genre as well. Becomes heavy and preachy, almost like hearing a sermon. Reviewed by Leo, for Jaico Books.